It is one job that the employees have to pay their employer just to start working. It is one job that does not provide paid medical leave, CPF and working benefits, as well as, a stable income. It sounds to me like a horrible job given the amount of money taxi drivers are earning now and the attitude they get from irate customers. 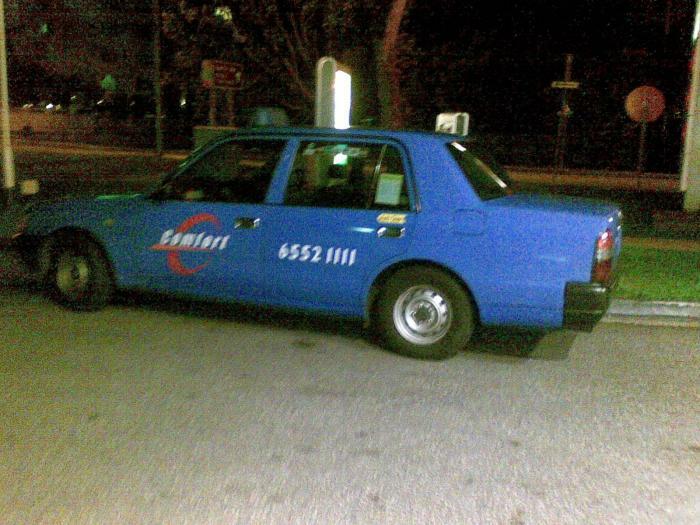 Even though I am not particularly glad about the increased taxi charges, I realized that it is only inevitable. How do you want taxi drivers to live if amongst all of these inflation and increased costs, they do not get to charge higher prices? Spare a thought for them. If you want good taxi service, hop in the taxi with a smile, give clear directions and make polite conversation. Never forget to say thank you to the taxi driver once you reach the destination. I know the importance of upgrading and I think Comfort has made great strides in improving its taxi services. 2) Technology implemented on taxis to allow drivers to find directions from a roadmap. 3) On -call services improved to shorten waiting time. Customers no longer has to speak to operators each time they wish to call for a cab as previous pick-up location is stored, up to 2-3 locations can be saved for each phone number. You only need to key in your phone number to retrieve information, and press the accompanying digit for the desired pick-up location. 1) The newer fleet of taxi look sleeker, but I find it more difficult to alight and enter the cab due to the higher level. 2) Very confusing surcharges, fuel charges, out-of-city charges and mid-night charges... And there seem to be changing the structure every now and then. Having taken the different cab models; Hyundai Sonata and Toyota Crown, I like the one with enough leg room so as not to make me feel claustrophobic. I find that the taxi drivers here have a good life since they are able to choose passengers when not waiting in the taxi stand. During a particular time slot, they would choose passengers going their way when they change shift. Other times, they would reject those who are going to the more rural parts of Singapore that won't have any passengers going out from those areas. Usually the drivers I have met are quiet and would drive the route that I prefer after being informed. The drivers who chatted are the ones who needed some perking up, it's dangerous to doze off while driving and I don't mind talking to them since it concerns my safety too! There was only this one incident whereby this driver didn't know where the place was but insisted that I took his cab, the fare would have earned him a handsome sum, of course. When we were in the area, I was berated for not finding out where the place was and had to call my colleagues to find out the exact location. Each individual has his/her own personality and only this driver didn't have what it takes to be a responsible driver. The other drivers often call their friends for help. Not berate the passengers for not knowing the location. I wouldn't have minded if it was a polite request.